Kendall Jenner with Cara Delevingne at the Chanel Salzburg show in New York City. Who knew that recycling fashion could be chic? 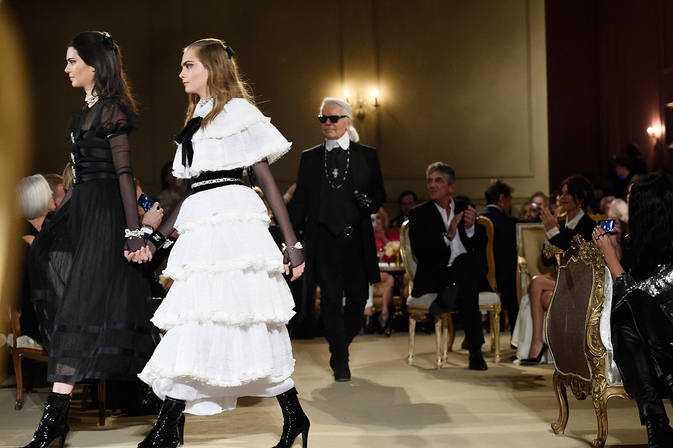 In the current whirlwind cycle of the fashion circuit, the encore performance of a traveling show has become popular for some of fashion’s biggest houses. Usually traveling to a less couture saturated place like China or the Far East, these shows take collections that have already been around the runway once or twice, and show them in a new location and setting for something fresh. 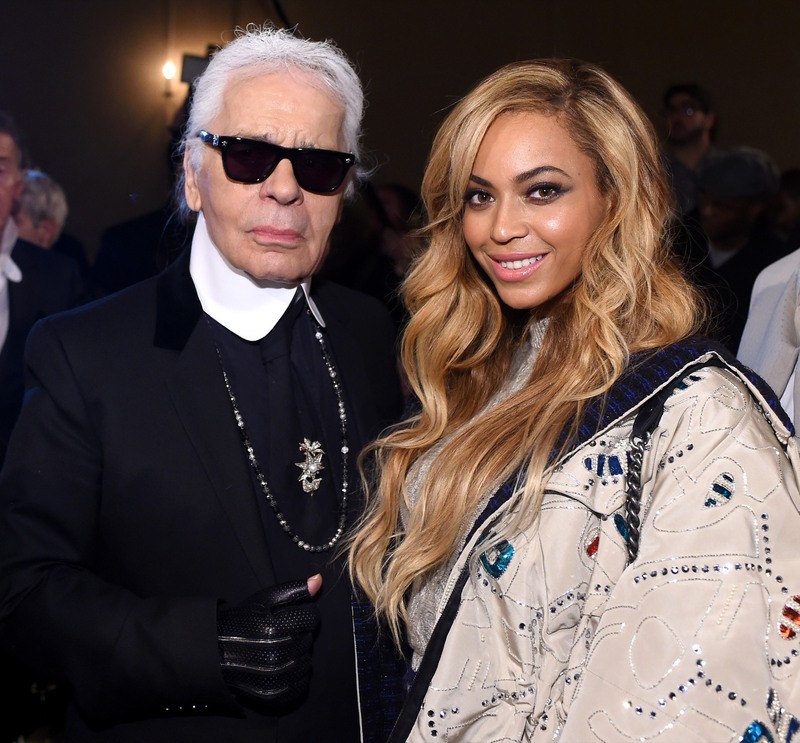 But when Chanel did a traveling show, they took it to New York City. Cara Delevingne with Pharrell Williams. It was not quite three weeks after their Brasserie Gabrielle show in Paris, and only about a month till their Cruise presentation in Seoul, but it was time for a little Austrian infusion into the Park Avenue Armory on the evening of March 31. It took the exact same Métiers d’Art collection that Karl Lagerfeld showed in Salzburg, Austria, early last December, most of the same models, the same adorable kid, Hudson Kroenig, walking the end of the runway. But in New York, there was also a front row full of celebs like Beyoncé, Vanessa Paradis and her teenage daughter Lily-Rose Depp, Dakota Johnson, and Pharrell Williams lounging on luxury gold sofas. The night ended with a five-song set by Pharrell, with model Cara Delevingne lending her voice in a cameo. The Salzburg show was special for Lagerfeld, which is why it got the special treatment even though it was only a Pre-Fall line. Amidst all the obligatory fashion week shows, the Salzburg show was, for Lagerfeld, “something from another life.” It included the hotel porter jacket that Coco Chanel first saw when on a trip to Austria, and which would inspire the brand’s signature jackets. Pharrell sported an army green one for his performance. A model walking at the show with Hudson Kroenig, Brad Kroenig’s son. Lindsey Wixon on the runway.